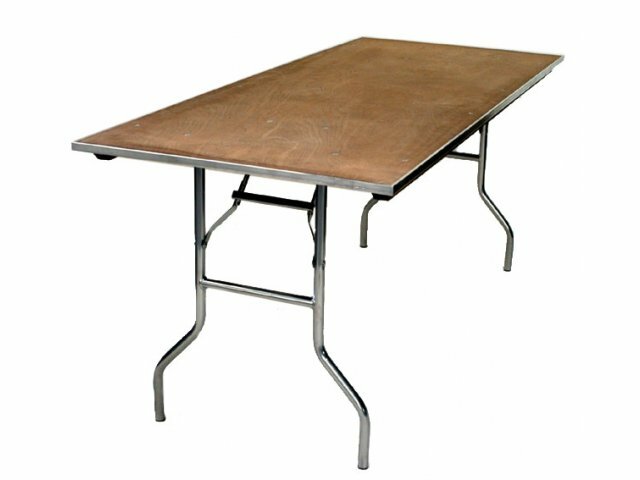 Plywood Rectangular Folding Table 96"x36"
Why should you consider a plywood folding table when comparing one rectangular folding table with another? Plywood is lighter and stronger than particle board. 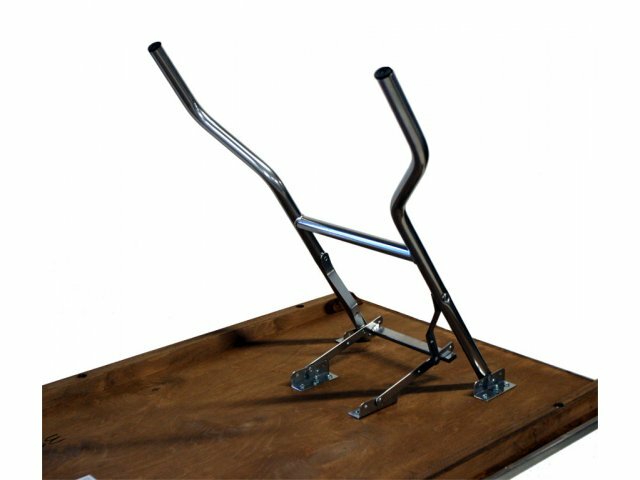 While the table can hold weight up to 1,000 pounds and easily seats ten, the whole table weighs only 70 pounds. Compare that with most other eight-foot long tables. The surface of this model is stained 5/8" plywood and is inspected to make sure there are no voids or patches. Full-length wood runners underneath surface are attached with carriage bolts and nuts to facilitate stacking and handling.